Getting a new bike is an exciting time. You’ll likely find yourself filled with a child-like sense of excitement and anticipation to get your shiny new steed home. You’ve probably spent hours looking at pictures, reading reviews and picking out all the right accessories to go with it. We know how much a new bike means, it’s more than just a means to an end, a new bike is something we love and take pride in, an item that gives us pleasure as well as serving a purpose. It’s for this reason that we have partnered with Bikmo cycle insurance to offer you 21 days free insurance on your new bike. This means that you can order your new bike with confidence, knowing that you’re protected from day one. 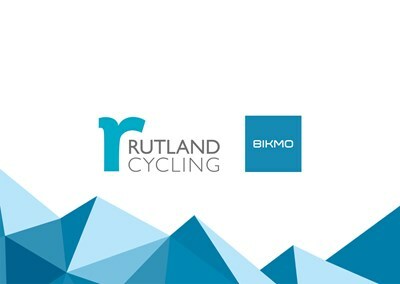 Plus if you want to continue your insurance with Bikmo you can get an exclusive 10% discount as a Rutland Cycling customer! Read the full details of what’s covered and T&C’s here. You must also adhere to Bikmo eligibility criteria and locking requirements. How do I claim my free insurance? In order to claim your free 21 days insurance all you need to do is go to the below link, enter your details within 7 days of purchase and you’re good to go! No, you will need to complete this form in order to receive 21 days free insurance from Bikmo. Are all of my other bikes covered for the 21 days too? No, unfortunately the 21 days free insurance only covers your new bike purchased from Rutland Cycling. If you want to insure all of your bicycles however you can benefit from a 10% Bikmo discount as a Rutland Cycling customer. Where should I go to make a claim? Claims should be made through Bikmo themselves, they will then contact us in regards to arranging a replacement bicycle for you. Are all of your bikes eligible? Yes, all of our bicycles are eligible for free insurance, whether they’re purchased in-store or online, or whether they’re sale or full price. All bikes purchased from Rutland Cycling are eligible for 21 days free insurance. There will be certain conditions for the cover provided (for example that you ensure you lock your bike up with an appropriate rated lock). Please ensure you have read the full Bikmo T&C's. You must also adhere to Bikmo eligibility criteria and locking requirements. When do I need to register for my free insurance? All new bikes must be registered within 7 days of purchase in order to be eligible for the free insurance offer.